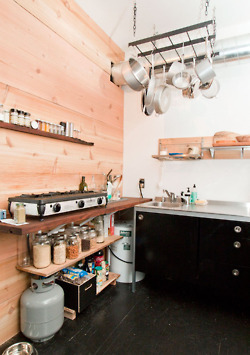 Limited storage in a kitchen can be a major nightmare unless you can come up with a tasteful solution like this one. 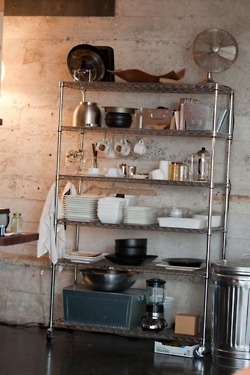 I love the industrial look of the rack and the trash can. 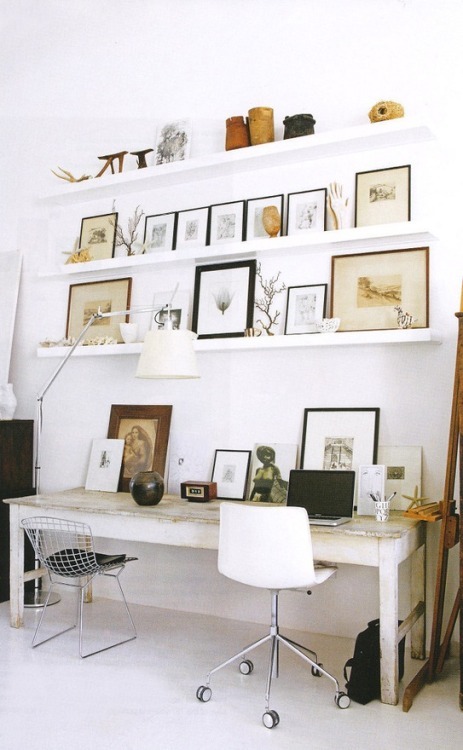 Only keeping the things that are useful and good looking may be a necessity in a situation like this one. I love the look.